Agents of the Federal Police detained 14 presumed members of the Jalisco Nueva Generacion Cartel in operations in Jalisco and Quintana Roo, six of them belong to the "Los Guerreros" cell linked to the confrontation in Tanhuato, Michoacán , and the shooting down of a Army helicopter in May 2015. Capture were six subjects considered to be from the inner circle of Alonso Guerrero Covarrubias, "El 08", one of the main operators of the CJNG and regional chief in the area. In the framework of the "Escudo Titán" operation, Federal Police agents detained 14 presumed members of the Jalisco Nueva Generación Cartel (CJNG) in Jalisco and Quintana Roo, where they are considered the main generators of violence. In a first action carried out in the community of San Martín de Zula, in the municipality of Ocotlán, Jalisco, personnel of the Investigation Division located in a building Juan Carlos "N", Gustavo "N", Agustín "N", Ignacio " N ", Pablo" N "and Jaime" N ", members of the first circle of Alonso Guerrero Covarrubias," El 08 ", regional head of the CJNG in the Ocotlán area. 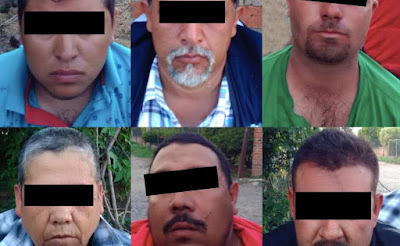 The brothers Alonso, Javier and Heraclio Guerrero Covarrubias, these last two already detained, integrate the criminal group "Los Guerreros" at the service of the Jalisco Nueva Generación Cartel , with a presence between the limits of Jalisco and Michoacán. It is known that one day before the events occurred, ie, the confrontation with the Federal Police in Tanhuato, in May 2015, which left 43 dead, the Guerrero Covarrubias brothers met at "Rancho El Sol". At a press conference, the National Security Commissioner, Renato Sales Heredia reported that the six subjects were assured eight long weapons, including a barret type rifle, an M60 machine gun, 35 chargers and more than a thousand useful cartridges . In addition to two trucks of recent model with report of theft, which were modified to place a weapon type M60. 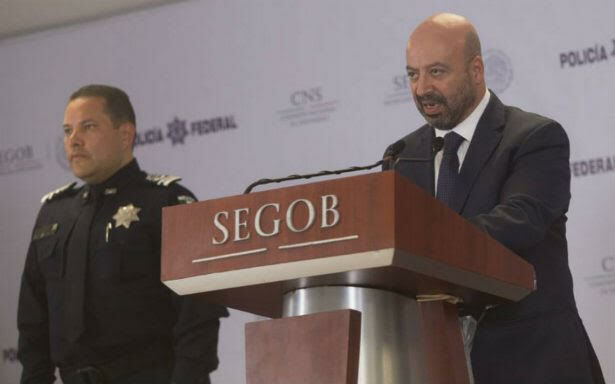 He explained that the arrests are the result of an investigation carried out by the Federal Police against the Guerrero Covarrubias brothers, the main operators of the CJNG between the limits of Jalisco and Michoacán. 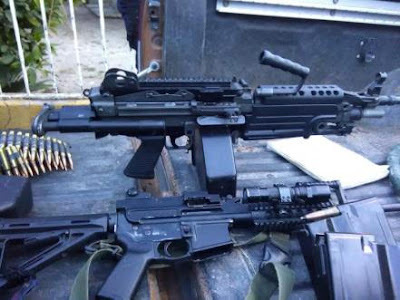 The National Security Commissioner, Renato Sales Heredia, reported that the six subjects were secured eight long weapons, including a barret type rifle, an M-60 machine gun, 35 chargers and more than a thousand useful cartridges. In addition, two trucks of recent model, same that have a report of theft, which were modified in their structures with attachments to place a weapon type M-60. Sales Heredia said the arrests are the result of an investigation carried out by the Federal Police against the Guerrero Covarrubias brothers, for their alleged relationship with the events that occurred in Tanhuato and with the shooting down of an army helicopter in May 5, 2015, in the municipality of Villa Purificación, where six soldiers lost their lives and an element of the Federal Police was seriously wounded. They are also linked to the ambush against elements of the Gendarmerie Division of the Federal Police, on March 19, 2015, in Ocotlán, which culminated with five gendarmes killed and nine wounded, four members of organized crime killed and two civilians dead. In this event Leonardo Guerrero Covarrubias was arrested, who mentioned that his brothers were the material and intellectual authors of the aggression. In August 2015, the Federal Police implemented an operation that culminated in the seizure of Javier Guerrero Covarrubias, who served as regional head of the CJNG in Ocotlán, Zapotlanejo, La Barca, Poncitlán, Atotonilco, Arandas, San Ignacio, La Capilla, Tepatitlán and Yahualica, Jalisco, as well as the municipalities of Tanhuato and Yurécuaro, Michoacán. "According to intelligence information gathered previously, this group could be part of the first circle of custody of the regional leader of the criminal group, which was headed by three brothers, two of whom have already been arrested," said Sales Heredia. In the second event registered in Quintana Roo, the Federal Forces Division of the Federal Police, which carried out patrol work as part of Operation "Escudo Titán", arrested eight presumed members of the New Generation Jalisco Cartel. They are related to at least 20 homicides in the last two months in that state. And CDS cant get rid of Beltranes and Carrillos in culiacan and were suposed to believe they run tijuana? El Cholo is the new boss of Jalisco from what Ive been reading. He is taking turf from Mencho everywhere. What's the deal with the abbreviation "N"? Like "John Doe", in english. The N is short for Not Gonna be locked up for long. It's like John doe they use N for N-Word. CJNG isn’t here to stay really are they? I predict the same thing that happened to the zetas....they will make a name for themselves of being ruthless and powerful with all of their displays of violence but that way of operating doesn’t provide much longevity in the end....el mero mero del mundo del narco es y siempre será el señorón don Mayo Zambada simplemente.....for the simple reason that he doesn’t operate or think in that way at all....he is a “high road” thinker. Like ive said before the jalisco cartel has a better economic infrastructure that the zetas ever had. So the jalisco cartel will not fall as quick. Its really important that the mexican goverment kills el mencho and erick salazar for jalisco to fall. He does talk about la Mensa taking over but if u are a little bright u will hear him say that he’s done and el señor is coming trough the back door, who’s the pendejo 5:13 now!!!!!!! Jalisco goverment really taking care of bussines. Or may be they are just getting rid of weaker cjng members. 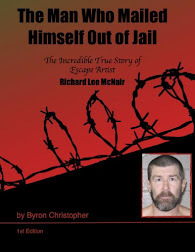 Knock off you kids, Chapo can't snitch, he is locked up, in a prison, the only things he talks to, are oversized rats roaming his cell. So i guess the "cleansing" of quintana roo is not going as planned for the cjng. In a while they will try again and anounced that they are back to clean the plaza. 12:24 que tontadas estas escribiendo? This was a big bust .These guys were part of the CJNG Elite Especial Forces.They were trained by Russian Spetznaz and KGB Alfa Group .These hitman were able to shoot down an Army helicopter that was being used to hunt down el SR Mencho.They used RPG! 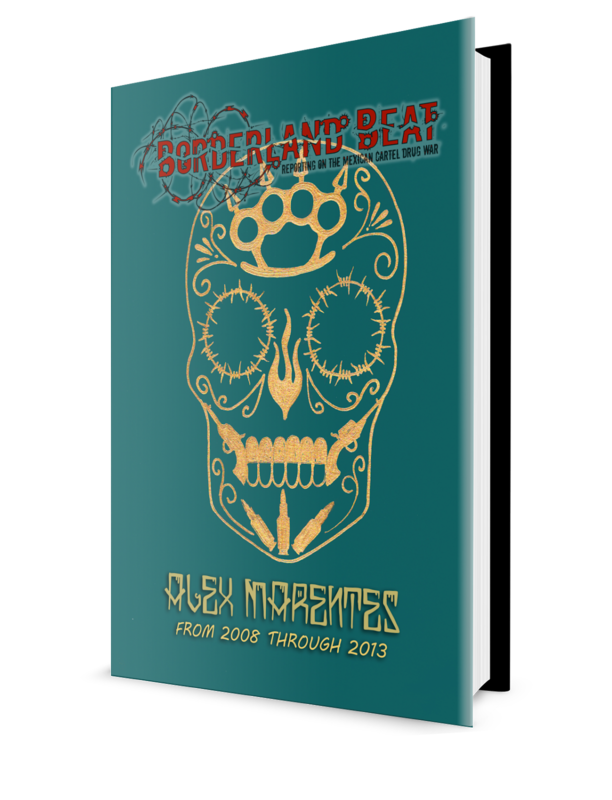 They were able to save El Senor Mencho due to their impressive training and knowledge of warfare. OMG here you go with your Rambo Tambo sheet. No wonder Jaliso is all over Mexico. The Sinaloans and Tamaulipecos either have paisanos from the cerro or cholos from the hood as hitmen. Why do you guys say fall instead of arrested? In Spanish they say cayeron but English is different. jalisco on lock. y sin ningun tiro.pero unos piensan que estan mejor preparados. y ni las manos metieron. todos caen sin tirar. It's gonna be year 2030 and still every second of detained CJNG clowns are tied to that helicopter shoot down. Tanhuato is a crime of State that created about 50 Falsos Positivos. Polesia Federal director Enrique francisco galindo ceballos resigned his position because of it but no news was made about it. New director Manelich Castillo Craviotto is "the man who sold the Plaza of SLP to CDS for 10 million dollars", says Hector de Mauleón, NEXOS.